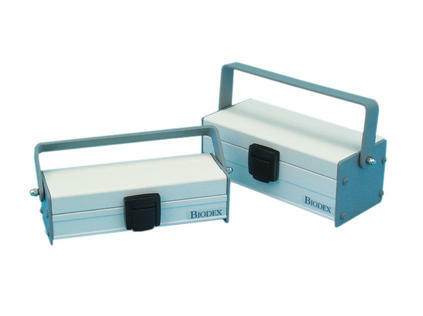 Shielded Syringe Carriers reduce exposure while storing or transporting radioactive material. The overlapping lid design with snap-latch closure prevents streaming. There are two sizes and thicknesses of lead to choose from. The ends of the carriers are double thick to reduce the exposure from the ends of syringes.